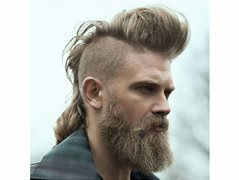 Looking for your stereo typical Viking. Bearded. Tall. Long Hair. Crossfitter. Onset experience is a bonus. The show is about a group of people from throughout history who have been trapped in a notorious section of the Atlantic. Paid : $25 PER HOUR, $250 PER DAY GROSS. The rate is $25 per hour gross. Shooting days are 10hrs with a 45min unpaid lunch. Minimum 5hrs per day.